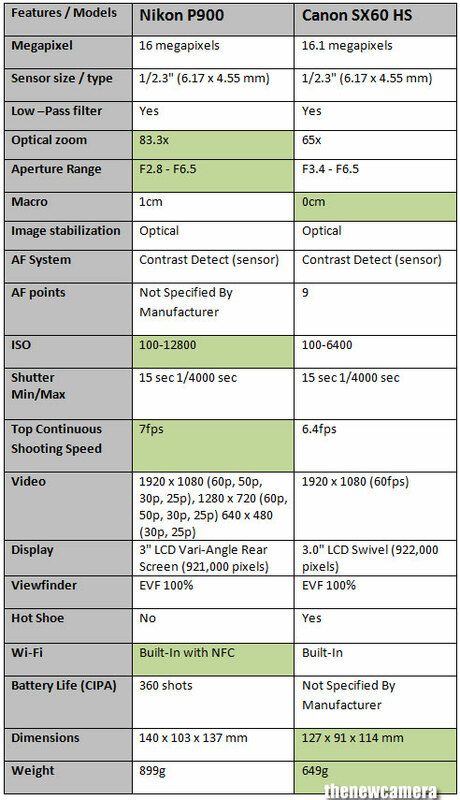 let’s do a specification comparison between the recently announced Canon SX70 HS camera under 2 year old Nikon p900 camera. More or less both camera comes at same price. 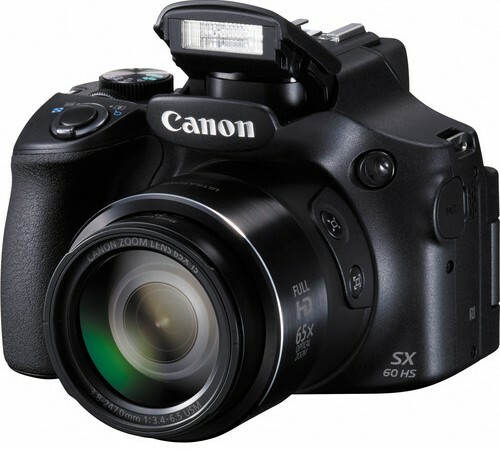 Now in Canon SX70 HS camera the first advantage you get by looking at the Core specification is the increase resolution. 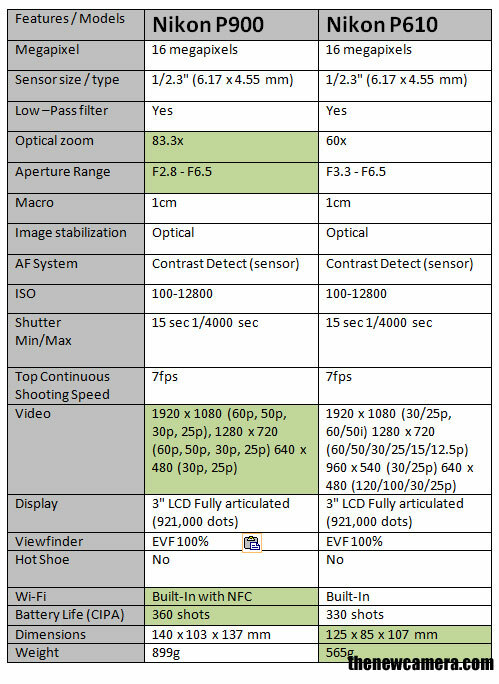 You are getting at 20 Megapixel sensor with Canon SX 70 HS camera, whereas Nikon p900 limited to 16 megapixel sensor. Now let’s have a look at the optical zoom range of both camera, optical zoom range of a mega zoom camera is one of the most important aspects while you are picking up your next Mega zoom camera. Canon SX70 HS camera zoom lens is limited to 65 x optical zoom most importantly the optical zoom lens of the Canon SX 70 HS camera is exactly similar to its predecessor. Whereas, Nikon p900 offers 83X optical zoom. 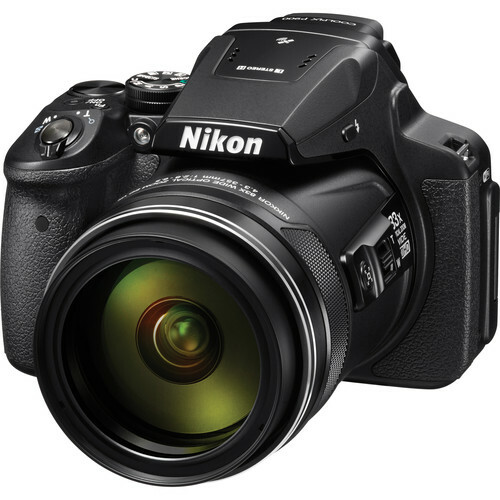 So, if you are looking for a good Mega zoom camera, then of course Nikon p900 is best option in your front. The Nikon P900 and Canon SX70HS both features contrast based AF system. However, feature more dense, A 39 point AF system compared to Canon SX70HS, which is limited to 9 point AF system only. ISO range, the ISO range of newly announced Canon SX 70 HS camera is same as we have seen in the predecessor starts from ISO hundred and goes up to ISO 3200. Nikon P900 camera offers 2 stop more ISO range, that’s upto 12800. Canon offers Continuous shooting speed of 10FPS which is really very impressive, Nikon P900 limited to 7 FPS. That’s you are missing 3 frames every second when you are using Nikon P900. Canon latest announcement offers 4K Video recording at 30 Frames per second, whereas the Nikon P900 camera limited to Full HD video recording only. The Nikon P900 camera is slightly big and bit bulkier compared to Canon SX70HS camera. Nikon P900 camera 83 X Optical zoom, 18X more than Canon SX70 HS camera. And 2 stop more ISO range for cleaner low-light images. But, on the other hand the Canon SX70 HS camera offers a bit faster continuous shooting speed and capability to record 4K videos. So, if you are looking for a Zoom camera under $600 than you should get the Nikon P900 or if you also want to shoot 4K videos with your megazoom camera than go with Canon SX70HS. We have created a list of world best zoom camera available in the market, the list is composed of two parts… the first part is dedicated to the zoom lens of the camera… we have listed Nikon P900 as the best zoom camera of the world today, the next in the list is Canon SX60 HS… it was the class leading zoom camera until the Nikon P9000 was announced. Now at the second part of the zoom camera recommendation we are talking about the image quality, both the camera mentioned below carries 1″ sensor, however the Sony does have a upper hand in the comparison since the RX10 II camera is using newly developed Stacked CMOS sensor inside it, the stacked sensor tech is first time ever used in a compact camera and it’s enough for uplifting your camera image quality to a next level, in-terms of less noise and true color and contrast reproduction. Now we are starting our Megazoom camera guide with the world most advance zoom camera Nikon P900, the Nikon P900 had become market leader of today and it’s demand is so high that few days ago Nikon factories in Japan issued a notice of apologies for shortage in the supply. If we were asked to tell the name of best Zoom camera of 2015 then without any doubt we would take the name of Nikon Coolpix P900 and answer would be right. 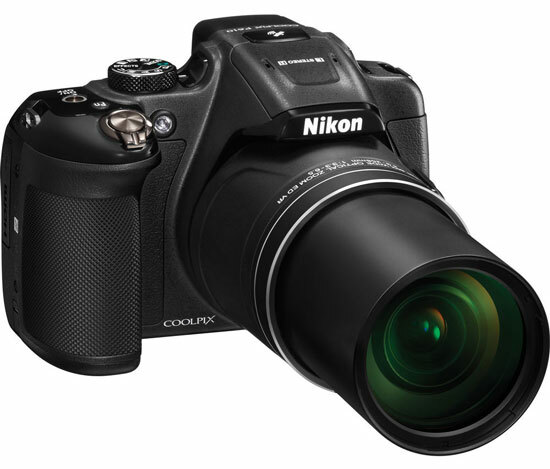 Well, it was March 2015 when Nikon had announced this Coolpix P900 and pleased to say that the camera has been implemented with powerful 83x optical zoom lens that supports super-telephoto shooting at the equivalent of up to 2000 mm 1 (up to 166×2 when Dynamic Fine Zoom is used). This zoom lens offers you to get the sharp shots of the farthest moon from the earth and it also supports macro photography of subjects as close as 1 cm to the lens. Besides this extraordinary zoom lens the camera also features 16MP CMOS Image Sensor to deliver you high resolution images without noise. A 3″ 921k-dot vari-angle TFT-LCD screen with 6-level brightness adjustment allow you to achieve same kind of shots from different situation, P900 also has built in WIFI with NFC and GPS. P900 can capture Full HD 1920 x 1080p video at up to 60 fps. You have no reason to buy the Canon SX60 HS camera if you can get the Nikon P900, however in the name of competition we have to put a runner-up name so we have selected the Canon SX60 HS camera, the camera also have some decent features but the SX60 HS is unable to stand in front of Nikon P900. The Canon SX60 HS was in the first position in the list of best zoom camera until Nikon Coolpix P900 came and snatched the front position from Canon SX60. However, the Canon SX60 also features beautiful 65x Optical Zoom lens and amazingly broad focal length range equivalent to 21mm -1365mm help you to see the subjects ‘ gigantic form what you can’t see through your naked eyes. The camera’s other features are 16.1MP High Sensitivity CMOS Sensor and DIGIC 6 Image Processor faithfully help the cameras low light imaging capabilities with razor sharp images. A 3.0″ Vari-Angle LCD Display & Electronic Viewfinder through which the users can take shots from various angles, you can capture video in full HD 1920 x 1080p at up to 60 frames per second in the MP4 format and transferring images with Wi-Fi Connectivity with NFC. Sony RX10 II is undoubtedly world best zoom camera, however the zoom lens of the camera is very limited but the camera features constant F2.8 aperture throughout the zoom range, the best part of the camera is it’s advance stacked CMOS sensor .. it will create excellent DOF and will give you noise less performance at High ISO level. The world’s first 1.0 type stacked Exmor RS CMOS sensor2 implemented camera whose image quality will be unbelievable sharpness that attract the viewers by voicing have a look at me. However, the camera is best known for its exceptional sensor. Inspite of biggest sensor the camera also has BIONZ X Image Processor to capture details and rich saturation part of the subjects and faithfully suppress the image noise. The better part of Sony RX10 II is that it can record ultra High quality 4k, Carl Zeiss Vario-Sonnar T* 8.3x Optical Zoom Lens that features very high quality optics inside, the lens will give you a constant F2.8 aperture throughout the zoom range of the lens. Due to the fast aperture of the lens it produces creamy Bokeh/ excellent DOF (Depth of field) and it can also be used as a perfect portrait camera. A 3.0″ 1228K-dot LCD monitor is integrated into the camera body and features a tilting design give you a comfortable shooting from both high and low angles, optical SteadyShot Image Stabilization to correct your camera shake while shooting. Built-In Wireless and NFC Connectivity are also the part of this Sony RX10 II. 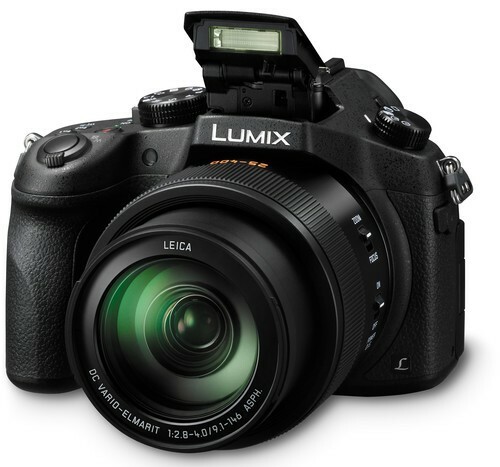 When Panasonic FZ 1000 was announced in June 2014 then it became the world first world’s first digital compact camera to offer 4K video recording capability at that time no compact camera was able to shoot 4K, the FZ1000 boasts 16X Leica DC Vario-Elmarit 16x Zoom Lens mounted over the 1-inch large 20.1-megapixel High Sensitivity MOS Sensor which is responsible for magnificent sharp images, reproduction of true color and the images will contain very less noise no matter even when it is shot at a high ISO. The FZ1000 incorporates 4K (QFHD 4K: 3840×2160, up to 30 fps in MP4) video recording capability, The 3.0-inch 921k-dot free-angle LCD with its wide-viewing angle rotates 180° to the side and tilts 270° up and down. The other most advanced features are 49 AF points of the camera with flexible and scalable single area settings, and Pinpoint AF can also to determine focus across the image, the FZ 1000 also has Built-In Wi-Fi Connectivity with NFC (Near Field Communication) to offer a more flexible aka handsfree shooting experience and instant image sharing with a simple operation by connecting smartphone, tabs etc. 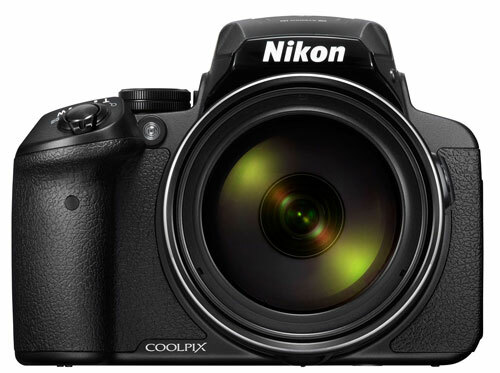 “COOLPIX P900” is, after the announcement date of March 2, 2015, received a reservation more than expected, production has followed the situation that does not keep up with the orders. Sorry we have been apologize for any inconvenience to customers. So continue to strive to intensive production, so thank you for your understanding. Even I purchased a Nikon P900 few days ago (you can also get your from Amazon | B&H | Amazon UK). Take a look at the sample video below capture by the Nikon coolpix P900 camera. Sensor – Both camera shares same sensor resolution and size and even the ISO range is also same, hence we do expect that we will get same image quality from both the camera. With Nikon P900 we get approx 23X more optical zoom, hence if you are looking for zoom camera we highly recommend you to get the new Nikon P900. 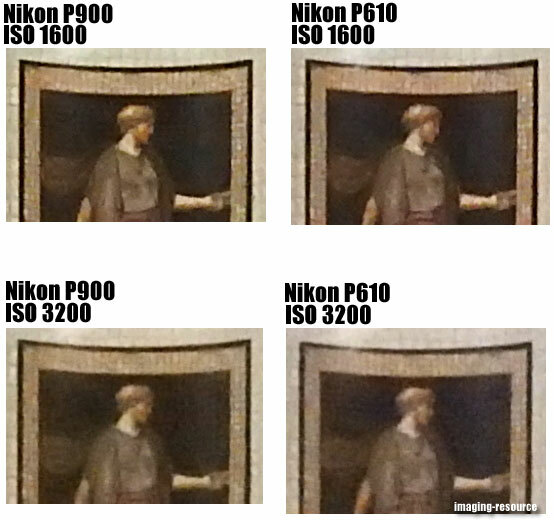 The other important factor is bright aperture based optical elements, hence at the end the Nikon P900 sensor will get more light compared to the Nikon P610 sensor, so we may observe some better and clean images from Nikon P900 compared to Nikon P610. Both camera can take extreme close-up shots, so no difference in macro capability of both the camera and both lens features same optical based image stabilization system. Video: The Nikon P900 supports Full HD video recording @ 60fps on the other hand the Nikon P610 limited to 30fps only. Both camera features Wi-Fi and NFC, it allow you to quickly share photos with family and friends, while the GPS can pinpoint where your images were shot. Verdict: Based on specification comparison review we highly recommend you to buy the Nikon P900 camera, since it features 23X more optical zoom compared to the Nikon P610 and bright aperture zoom lens. To be announced Nikon P900 camera specification leaked today, the camera is rumored to feature 80X optical zoom, the recently announced Nikon P610 camera limited to 63X zoom only, so it will sure set zoom benchmark in the camera industry. The most important thing the camera is expected to arrive on March 2, 2015… we also do expect that Nikon D7200 and Nikon J5 will also announced on the same day. You can follow Nikon D7200 FB page for all updates.